The Leadership arena is crowded with ideas and approaches. How do we cut through the haze to focus on the things that really matter? 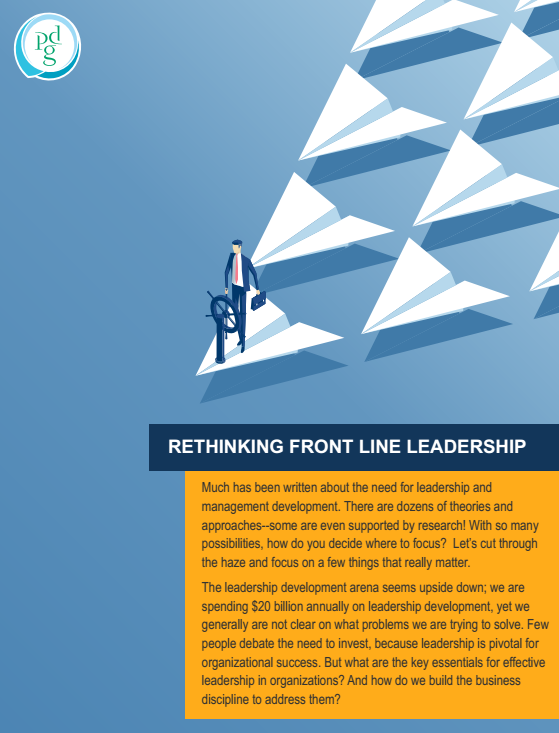 The role of the Front Line Leader is changing, and becoming more important than ever. As the business environment changes rapidly and unpredictably, Front Line Leaders are becoming more important than ever. How can business transform the role from controllers and administrators to enablers and guides?